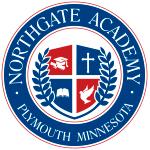 Northgate Academy is an accredited Minnesota non-public school and is part of the Excel Education Systems independent school system. Click here to view the school profile on the Minnesota Department of Education website. Our assigned DOE school ID# is 0284-31-023. 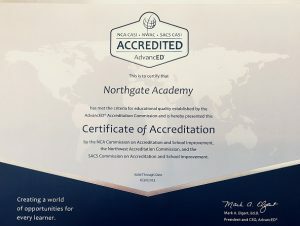 Northgate Academy is regionally accredited by AdvancED, the parent organization of The North Central Association CASI, the Southern Association of Colleges and School CASI, and the Northwest Accrediting Commission. Click here to view the school’s accreditation profile. 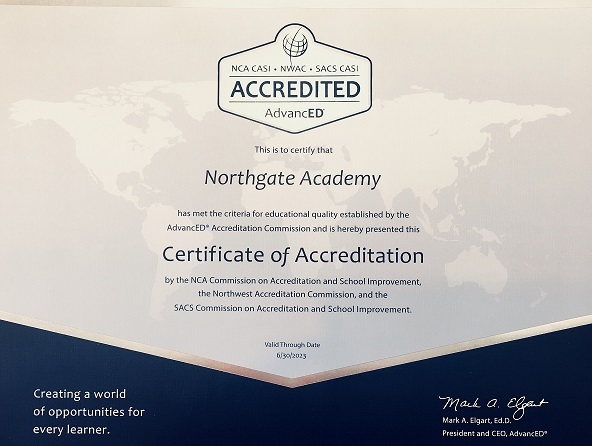 Northgate Academy’s accreditation is recognized by the State and US Department of Education and is recognized by all colleges, universities, employers, and the US Military. AdvancED is a nationally recognized accrediting agency dedicated to advancing excellence in education worldwide. AdvancED provides accreditation, research, and professional services to 34,000 schools and school systems—employing more than four million educators and enrolling more than 20 million students—across the United States and 70 other nations. Northgate Academy is accredited and recognized by the (VCPE) and the State of Virginia as a non-public school as authorized by the Virginia Board of Education in §22.1-19 of the Code of Virginia. Click here to view our profile. Northgate Academy is a Member of the Association of Christian Schools International (ASCI). ACSI serves almost 3,000 member-schools in the United States, over 20,000 member-schools internationally. Northgate Academy Students are eligible to sit for the AP, PSAT/NMSQT, SAT, PLAN and ACT exams. All exam results will be sent to the Northgate Academy counseling office. We also receive College Board accommodations for students with disabilities, SAT and ACT publications and administer PLAN. Northgate Academy is an A-rated, accredited member, of the Better Business Bureau. Membership with the Better Business Bureau (BBB) ensures that organizations agree to the quality and trust standards as set forth by the BBB. Northgate Academy is committed to service excellence. Click here to check out our BBB profile.